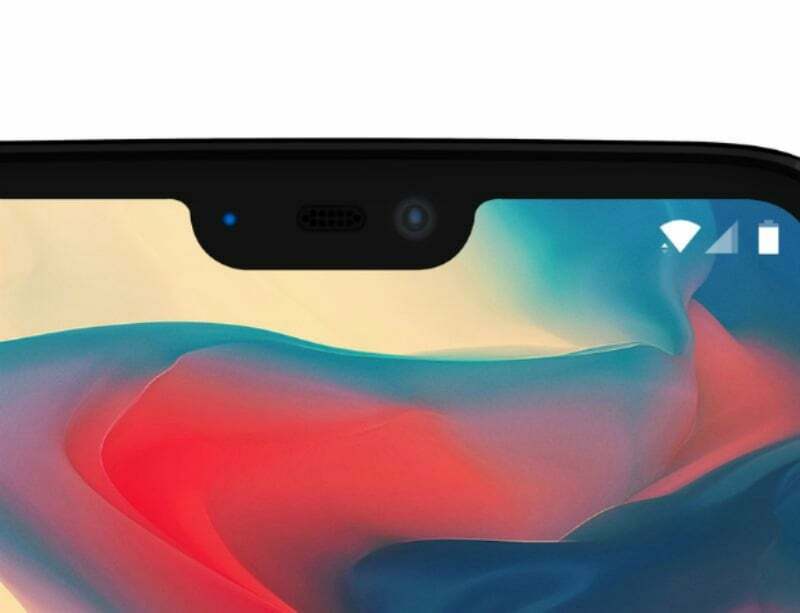 OnePlus has confirmed that its upcoming flagship smartphone, the OnePlus 6 will have a notched display, like the Apple iPhone X. OnePlus has officially provided an image of its upcoming device to The Verge, saying that they’re going with the current smartphone trend, but claimed to have taken much thought and care while implementing it. The notch on the OnePlus 6 will not be as big as the one on the iPhone X, but it will not be as small as the one on the Essential phone. Also, OnePlus confirmed that it would handle the notch better while playing a video and there will be some other software changes such as the left placed clock on the status bar, same as what we have seen in the first Developer Preview of Android P. It’s also confirmed that the OnePlus 6 will not look like the Oppo R15 smartphone, as it’s rumoured earlier. The notch on the OnePlus 6 will have measurements of 19.616mm x 7.687mm, much smaller than the Apple iPhone X’s notch. The reason why OnePlus is going with the notch trend is that’s the only way to provide more screen real estate to the users. Well, the company is not interested in keeping the notch smaller like the Essential, which will make the earpiece and proximity sensor’s implementation a bit tough. “It’s a very clear decision: more real estate for the user. In conclusion, learn to love the notch,” said Carl Pei to The Verge about the notch. Furthermore, he also spoke about a couple of things which Apple revolutionised with the iPhone X. The first one is the notch, and the other one is the gesture-based navigation, which already made their way to the existing OnePlus smartphones. He added that Apple “accelerates the adoption of things within the industry,” and that’ so true. However, OnePlus is not going to take some cues from the iPhones though. For example, the OnePlus 6 will retain the 3.5mm headphone jack, only Samsung’s flagship phone had retained it this year. Carl Pei also quoted that chins on Andriod smartphones will remain for sometime before completely vanishing. And there are not many details available about the OnePlus 6 officially, but what we know so far is the 19:9 display different when compared to the Oppo R15. With the company already providing an image of the phone, we’re hoping for the launch event in next month, unlike the company’s proper June release. The OnePlus 6 will compete with the likes of the Xiaomi Mi Mix 2S and Huawei P20 Pro.